Baby Week button is ready! You are here: Home / Uncategorized / Baby Week button is ready! First of all, if you already linked up a baby idea, THANK YOU so much!! If you see an idea that is similar to yours, please don't hesitate to link up yours also. We all benefit from seeing new ways to do things. Plus I am just excited to blog hop to as many readers' blogs as possible! If you did already link up, I just now posted the HTML for the Baby Week button. I am so NOT computer savvy. I made the silliest mistake. Anyway, if you will grab the button now, I would appreciate it. Sorry for the hassle! I just want to get the word out about our Baby Week Party! 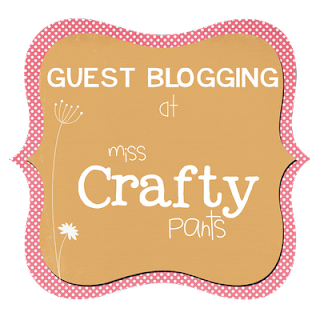 Today I am blogging at Miss Crafty Pants! I am going to share a tutorial for making a flannel board. Come and check it out!